I’ve been living about 25 miles outside Philadelphia since August 2014, and so far I’ve enjoyed it. I liked living in the East when I went to school at Syracuse for my graduate work, and I like living here now. Plus, it doesn’t hurt that Philly is so close to New York City and Washington, D.C. It’s a relatively quick train ride to either place. Of course, my son and I have done a little exploring in downtown Philadelphia. However, we’ve also enjoyed poking around outside of the city, since it’s often a little easier to get around. Here are 4 things we’ve enjoyed doing outside Philadelphia recently. We visited the Brandywine Battlefield one afternoon, and learned a little bit more about this Revolutionary War battle that didn’t go so well. This was a pretty large scale battle, with about 30,000 American and British soldiers clashing in the summer of 1777. There are 52 acres to this battlefield, and it’s possible to learn about the disappointing way the battle ended. 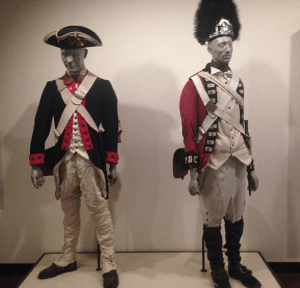 There is a museum on site, and there is a great video about the battle. Not only that, but you can tour different buildings at the battlefield, including getting a look at the house where George Washington stayed while here. You can take a guided tour, or a self-guided tour, of the battlefield. This was the site chosen to defend Philadelphia, and, unfortunately, it didn’t stop the British, who entered the city in September of 1777. Many people overlook this battle, but it was very interesting to learn about, and after learning about it, I’m not sure why we don’t hear more about it. This is a fun activity for the whole family. The West Chester Railroad offers 90-minute train trips from West Chester to Glen Mills. It’s impossible to feel like you are so close to Philadelphia as you follow Chester Creek in this old-fashioned train. There are a variety of special trips offered throughout the year, including the Easter Bunny Express, which runs in the spring, special trips to see the fall colors, and, of course, a Christmas-themed journey during the winter. It’s a fun way to get out a little bit, and there are plenty of amenities on board. My son is 12, and starting to outgrow some of the “kid” activities out there, so the Santa and Easter Bunny rides don’t appeal to him, but we had a great time viewing the fall colors during autumn, and going for apple cider donuts afterward. I fell in love with Longwood Gardens the first time I went. It’s a beautiful botanical garden near Kennett Square. The gardens include extensive grounds, where you can stroll to enjoy almost all of the seasons. There are a number of treehouses that you can climb in for better views, and plenty of information about conservations and plants. There is a beautiful conservatory as well, containing a number of exotic plants which would never grow outside in Pennsylvania. 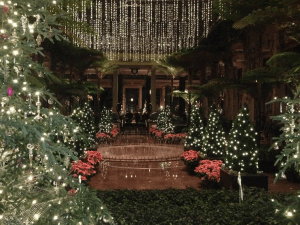 Special events are held throughout the year, including a special Christmas lights display, the Orchid Extravaganza, and a special summer light experience. There are also a number of lectures and concerts held at Longwood Gardens, along with plenty of workshops and summer camps. There are also dining facilities on site, which makes it easy to turn a trip to Longwood into a full day event. My son and I loved Longwood so much that we bought a family membership so that we can go whenever we want, and get discounts on special events. If you like the outdoors, Black Rock Sanctuary is a great place to visit. My son and I were thrilled to discover a large number of parks here in Chester County. It’s true that I often forget that I essentially live in a suburb (ok, maybe a suburb of a suburb) of Philadelphia, since there are so many parks and nature preserves. Black Rock Sanctuary features an interpretive trail, and offers wetlands, woodlands, and meadows that you can learn about. It’s also really cool to visit during bird migration times because the sky above is a major “air highway,” and you can enjoy watching the migration of American shad at fish passages along the Schuylkill River. One of the great things about moving to a new place is that you have incentive to explore and learn new things about the area. I think my family will be happy hear for quite some time.